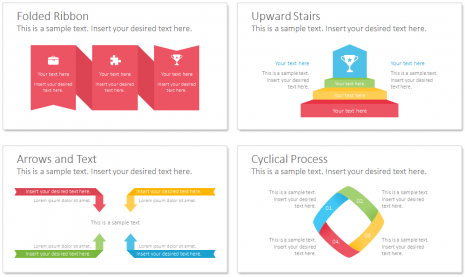 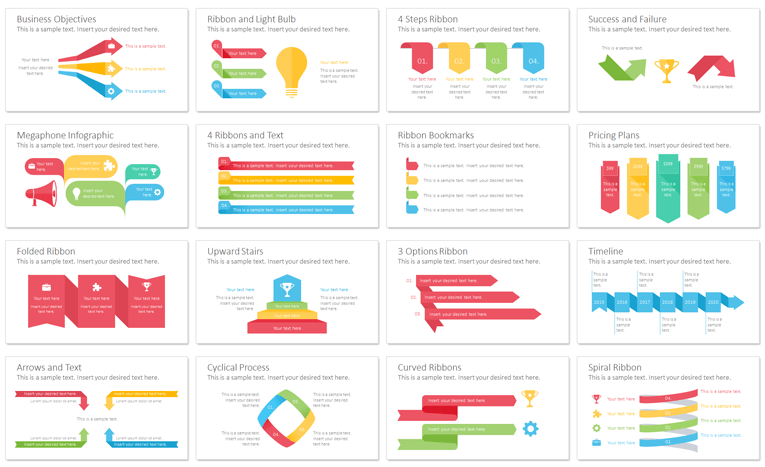 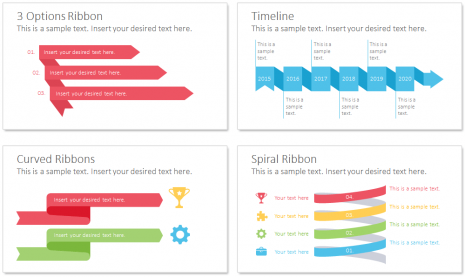 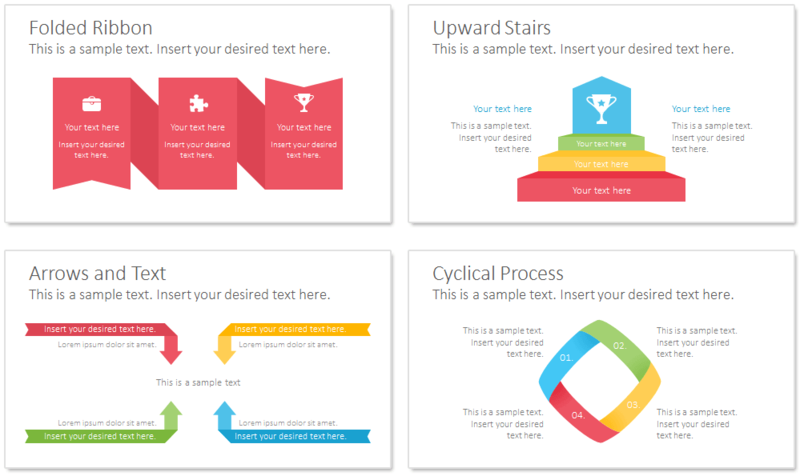 Infographic design elements for PowerPoint with 16 pre-designed slides with ribbons and arrows. 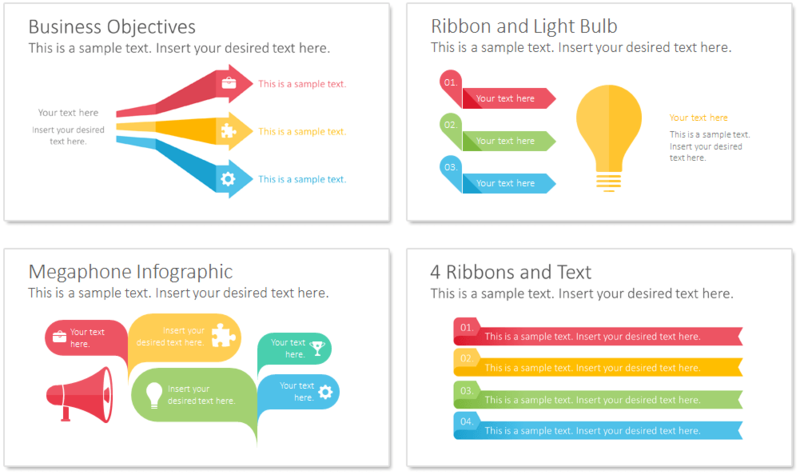 All shapes and design elements are vector-based, editable, and pixel perfect. 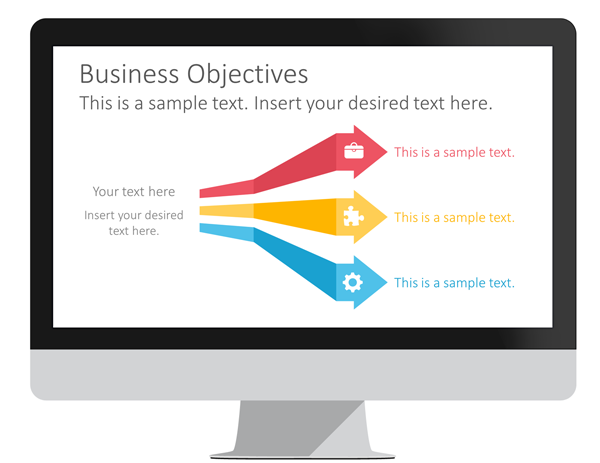 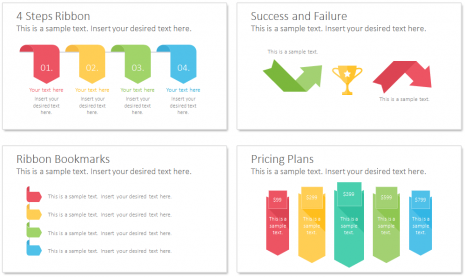 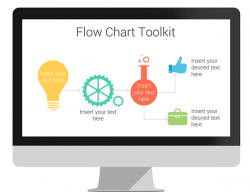 Show your data with style and consistency with these useful PowerPoint slides that includes; business objectives, steps diagram, light bulb and ribbons, success and failure, megaphone infographic, pricing plan template, timeline, and more handy graphics. 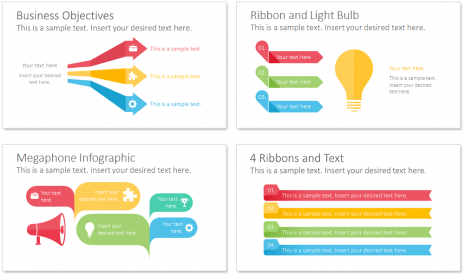 Use them to punch up all your presentations! 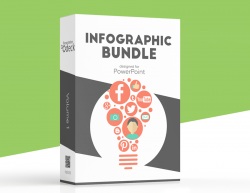 Definitely a great slide deck to add to your arsenal.